Based on the classic 85 Finnlight, the Finnlight II is an icon reborn, with a host of innovative feature. 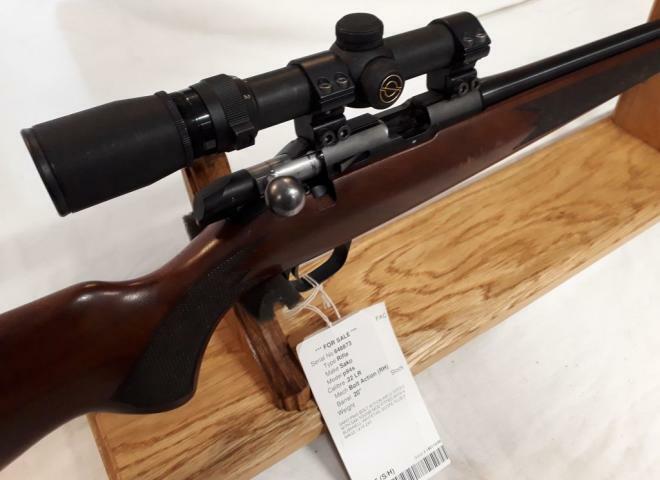 The Gun Room offers you the opportunity to purchase a,new Sako 85 Finnlight 11, with a 20" cerakoted treated fluted barrel, this rifle also has a light weight adjustable stock, with grip inserts, screw cut for sound moderator. 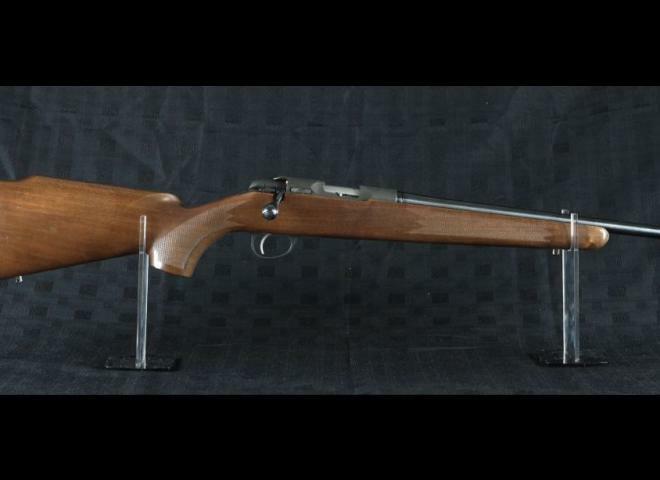 Superb as new condition Sako 85 Hunter, wood, blued in .308 caliber. This stunning example, comes complete with its original box and paperwork etc. The best of the best! - Full aluminium chassis with 2 point folding stock, phosphated action and 1-11" twist barrel, 10rd TRG magazine, 30 MOA Picatinny rail, M-LOK attachment fore-end. Screwcut 18x1 for a sound moderator/muzzle break. This rifle is in very good condition with very little use. Comes with Stalon Compact sound mod. New model from Sako, fitted with adjustable synthetic stock, and fluted screw cut barrel, all in Cerakote finish. 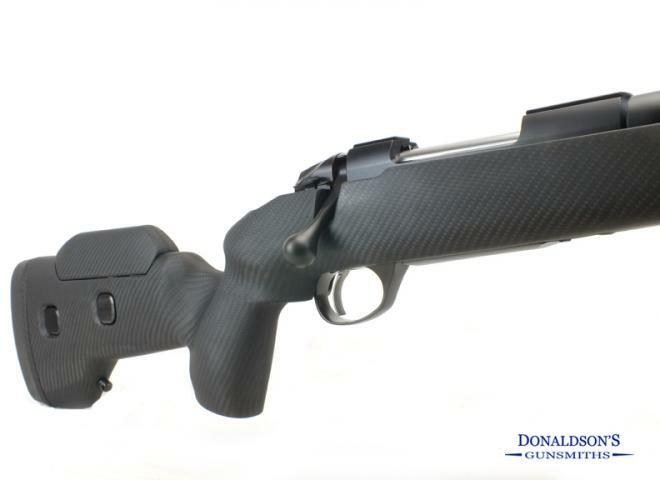 Carbon bedded stock. Sako 85 rifles are built with demanding design criteria, based on tradition and innovation, allowing you to choose between different models for the given hunting or training purpose. Sako quality at a more affordable price, comes complete with Weaver bases attached and detachable magazine. Sako 75 III- NEW BARREL ! Back from Proof and available now! Sako A ll .22 -250 cal bolt action rifle. Bavarian 'Hog Back' stock. Clean and tidy through out. New Sako 85 XS Varmint with Laminate stock and Stainless barrel which is screw cut (18x1) making this rifle Sound Moderator ready. 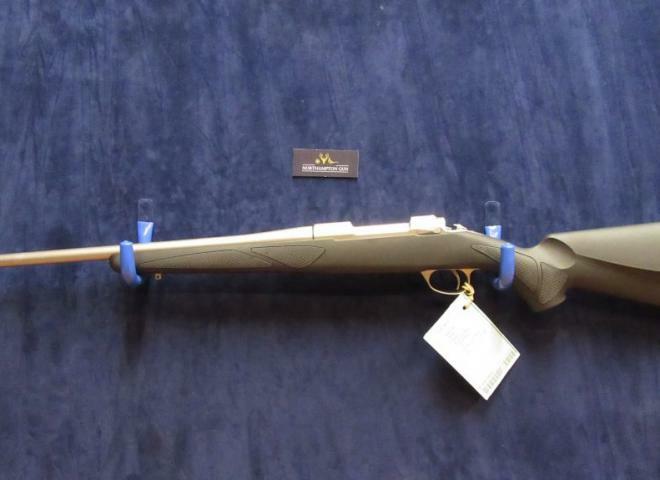 NEW....Sako Finnlight II Synthetic Cerakote Adjustable stock with blued fluted barrel. Very latest new model boasting fantastic build quality with incredible built in accuracy. NEW.....Sako 85 S Carbon Wolf with new carbon adjustable stock for a precise and perfect fit. This stunning premium built state of the art new rifle boasts both fantastic build quality with incredible accuracy. NEW....Eagerly awaited Sako Black Wolf with new laminated adjustable stock, blued fluted barrel with 15x1 muzzle thread. 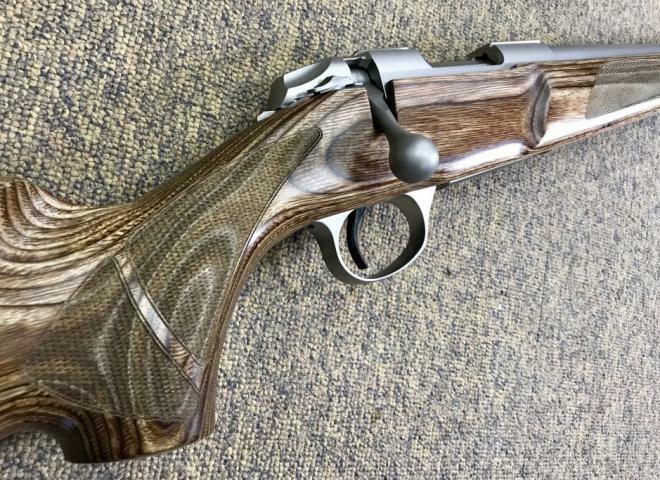 A new Sako 85 Varmit laminate/stainless in .223. Please enquire about our great value kit packages available. Sako 85 Varmint with heavy stainless fluted barrel screw cut 18x1mm with brown laminated stock. Screwcut 18x1 for a sound moderator. New Finnlight 2 with adjustable comb and Cerakoted finish. Screwcut 14x1 for a sound moderator. This rifle has a Schmidt and Bender 8 x 56 scope with rings but is an extra £400, the jetzed modorator and has been re-barrelled with a bagerra cerakoted barrel. Super light weight with 20" fluted barrel, screw cut at 14x1mm, carbon fibre stock, 5 round detachable magazine. Rifle is in Mint condition, comes with sound moderator, 1" mounts and 4 magazines and the original open sights. Original 22 Sako finnfire, 10 shot mag, walnut oiled stock (one small repair where a sling stud was snapped) professionally repaired and not noticeable in use. Scope and mounts available separately. 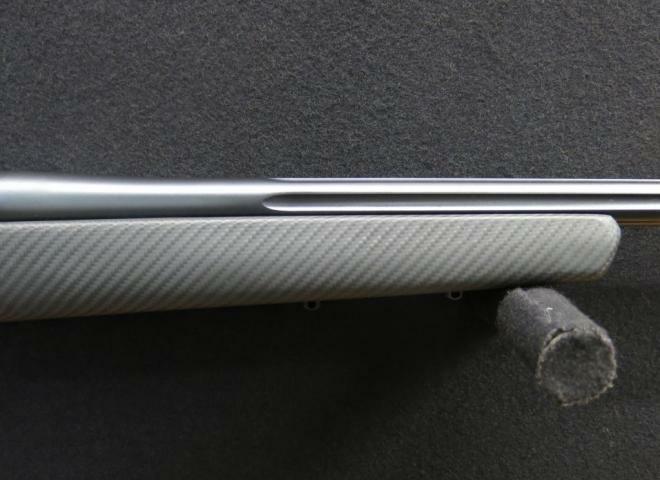 Sako 85 Stainless Synthetic in 243 screwcut for a moderator detachable magazine great foxing rifle. Sako Quad Range in .22lr 20" Heavy Barrel fully adjustable target style stock anschutz mounting rail screwcut for a moderator. SAKO A2 in .243 calibre. Great overall condition complete with Optilok Rings and bases. Classic Finnish manufacturer bolt action rifle. Cold hammer forged 20" barrel threaded 14x1, rate of twist 1:11"
Three lug locking bolt with turned handle. Sako .17 HMR Quad Varmint. 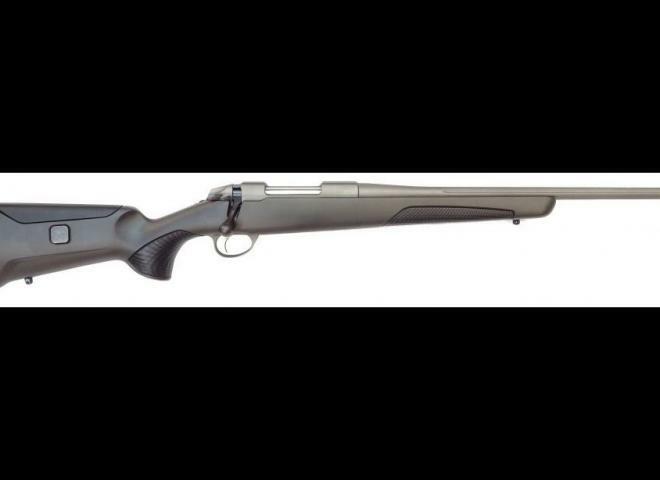 Sako quality & reliability in this excellent format synthetic stock with heavy barrel. Little used rifle in very good all round condition. Heavy barrel , wooden stock. Ex Demo - Little use - Still comes with full warranty. Sako Finnfire II .22lr carbine comes with 10 shot magazine.